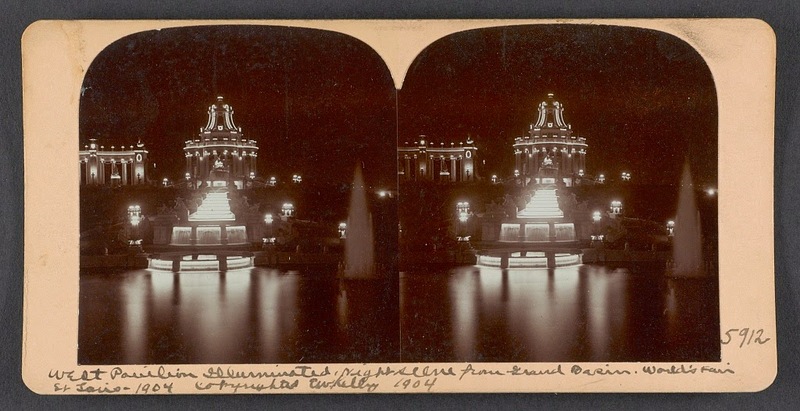 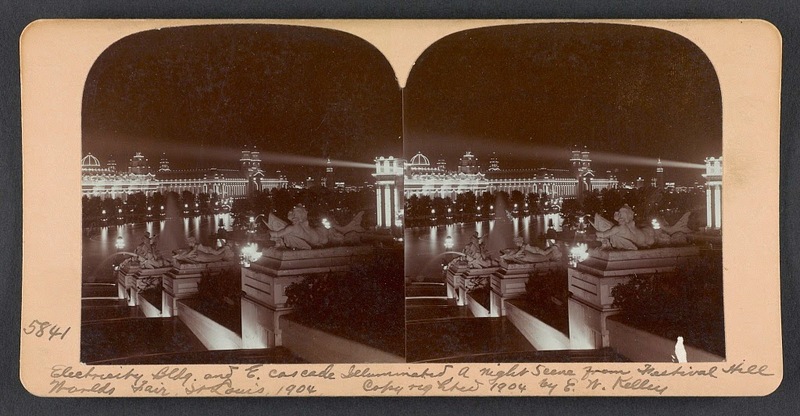 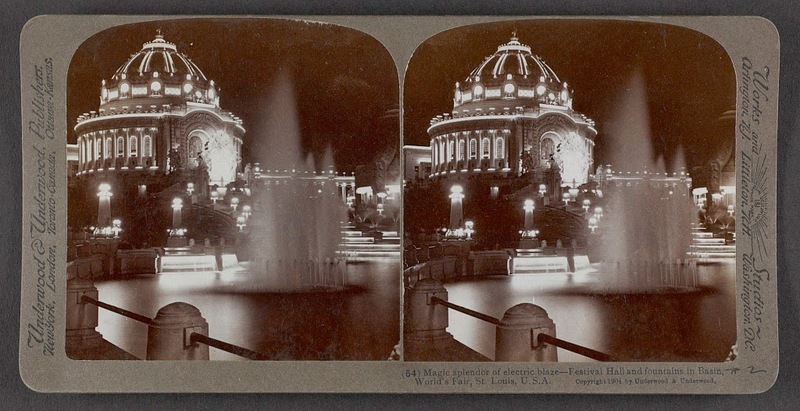 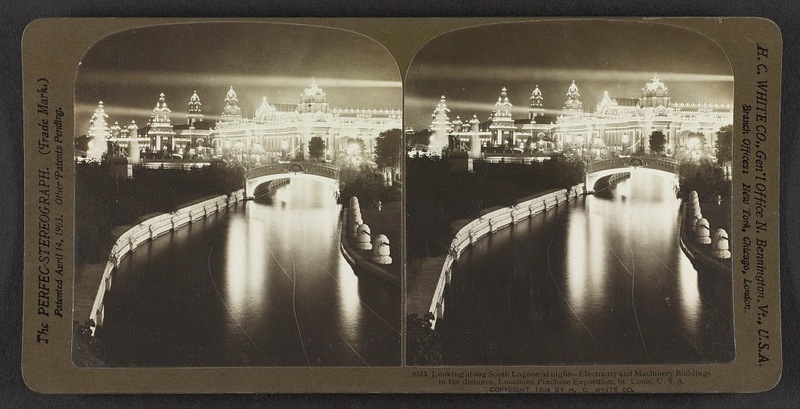 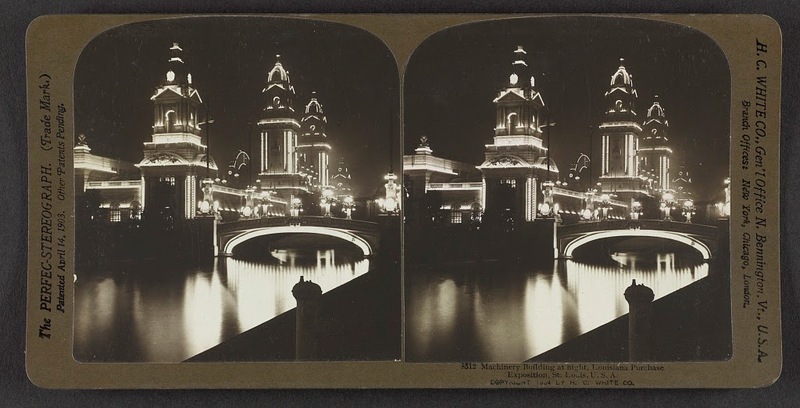 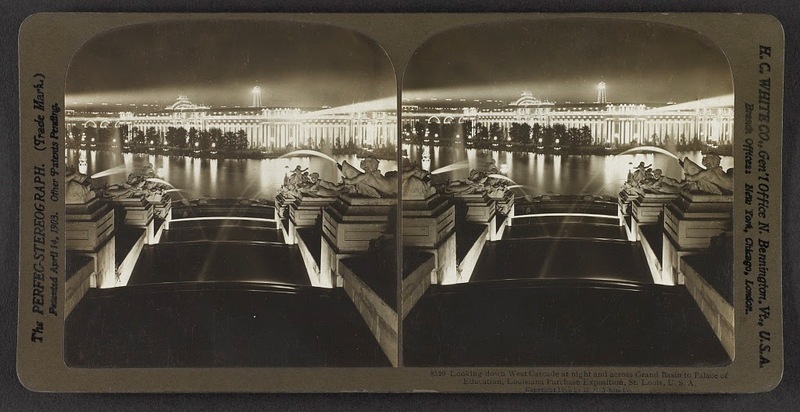 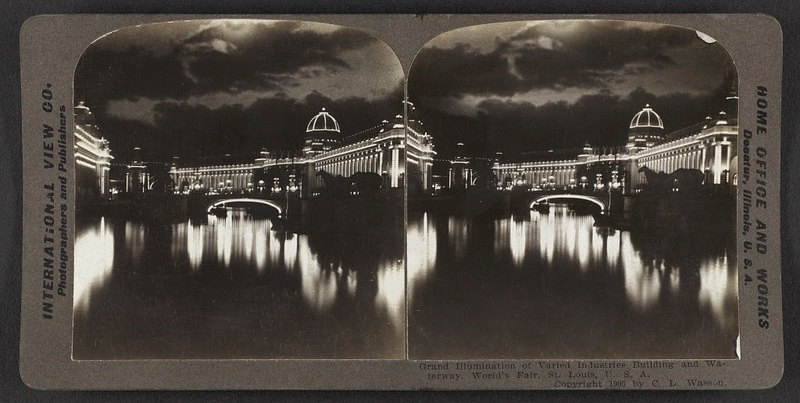 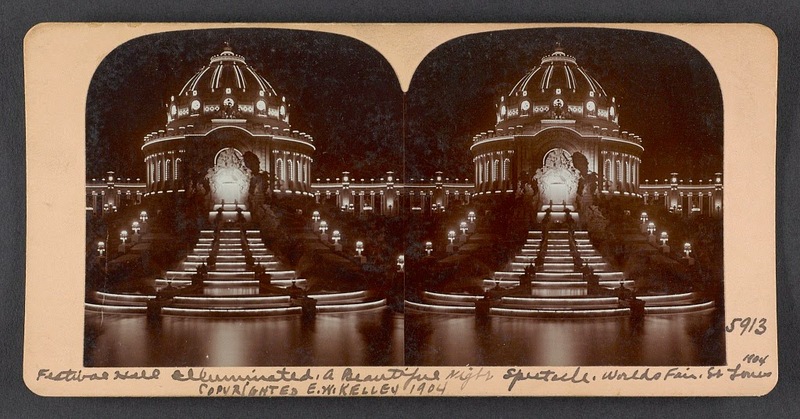 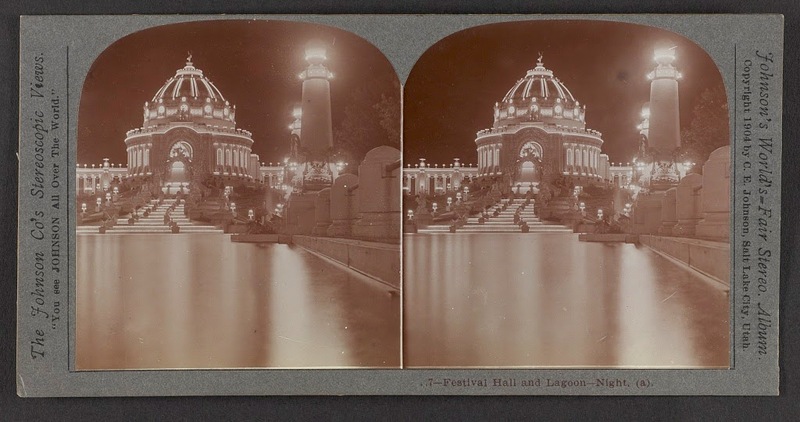 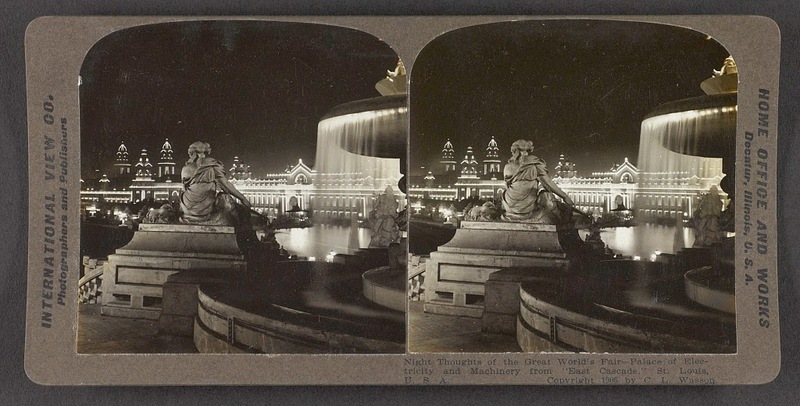 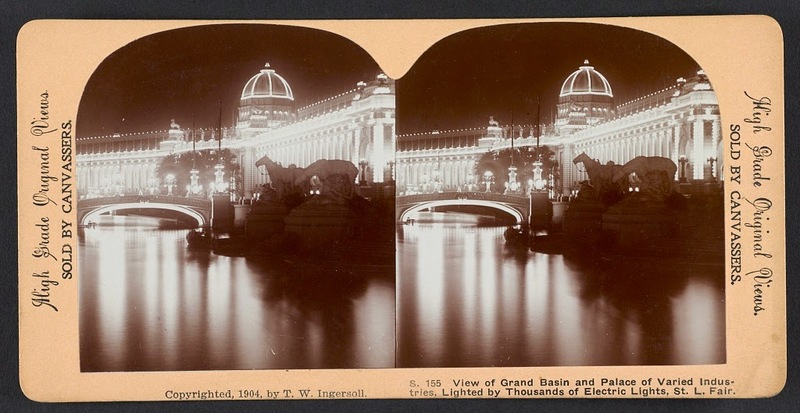 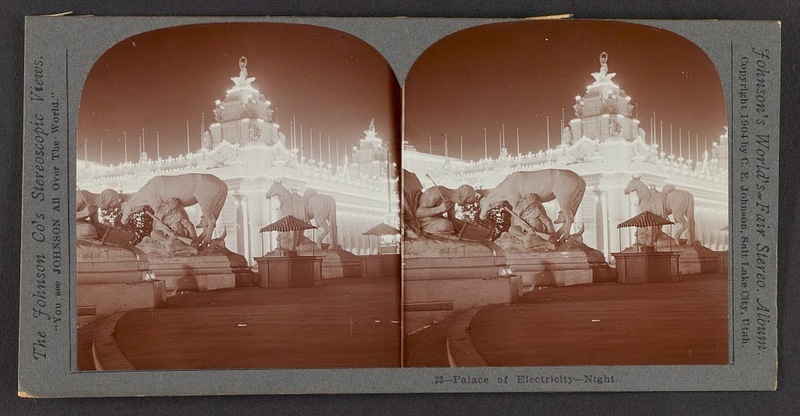 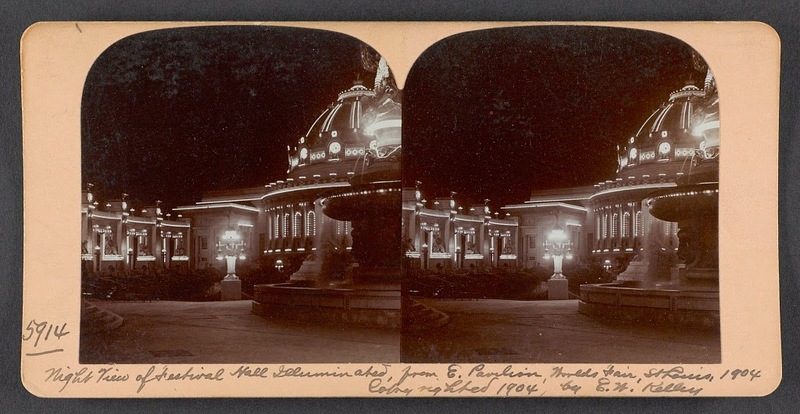 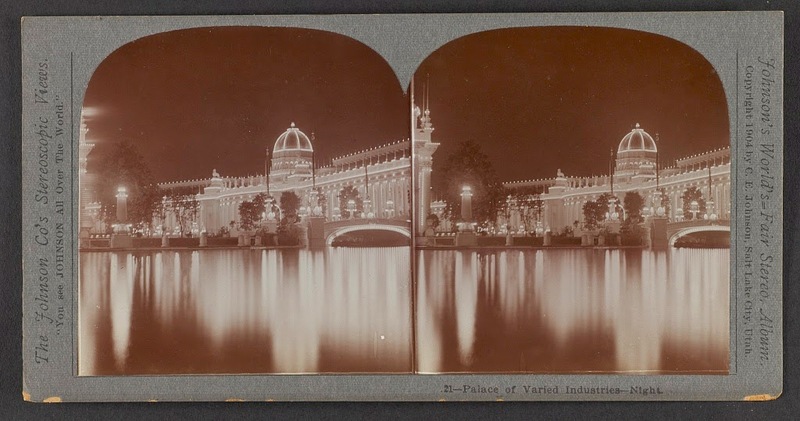 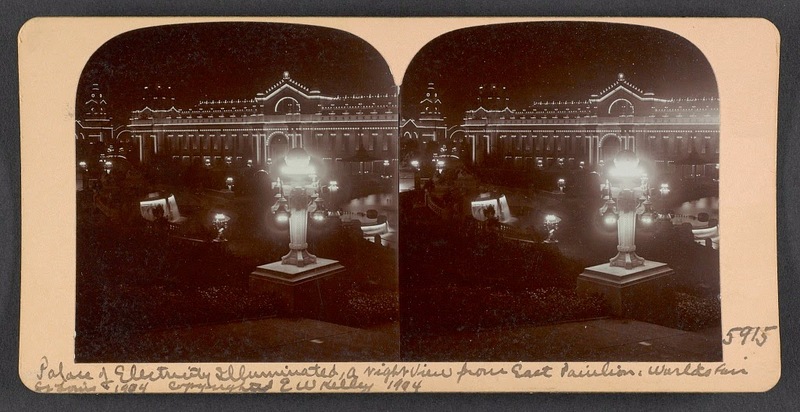 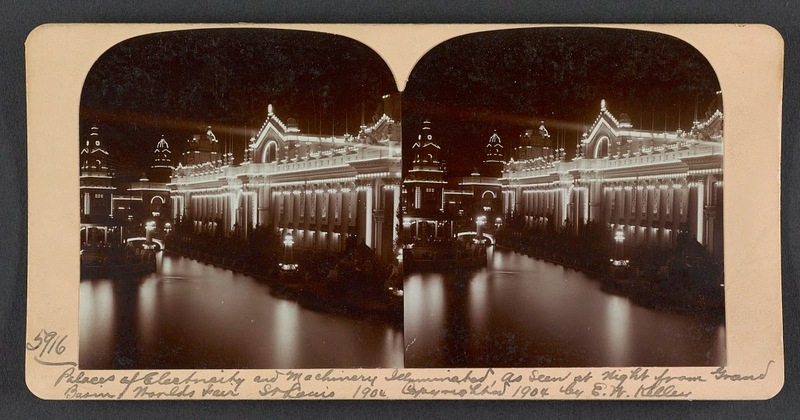 A variety of terrific sterographs depicting the illuminations at the 1904 World's Fair in St. Louis, published bey several different stereo companies. 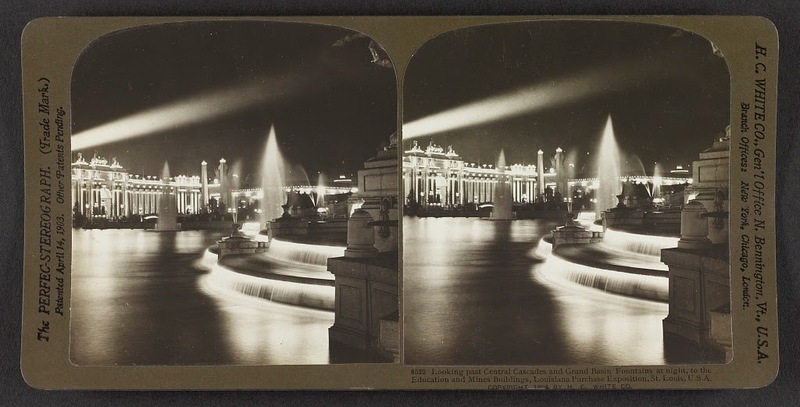 Like the buildings created for the Chicago World's Fair in 1893, the St. Louis Fair's buildings were not designed to last more than a year or two. 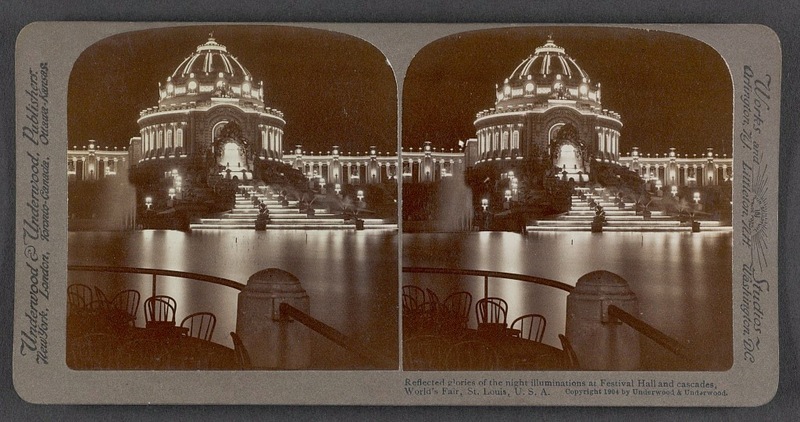 All but one of these buildings were demolished shortly after the event ended. 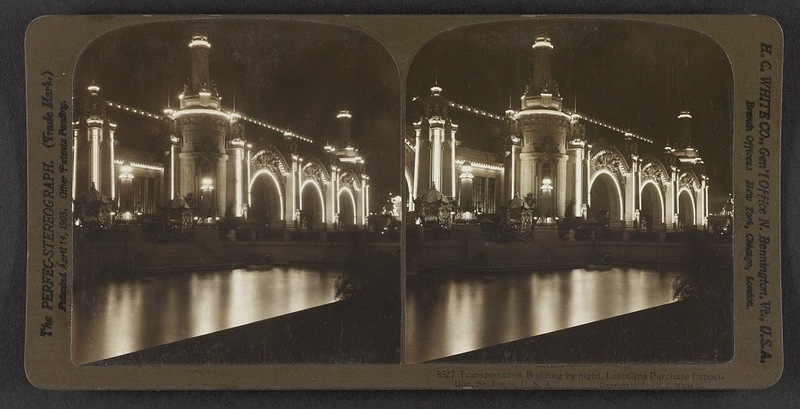 By the way, if you can free-view (look at stereos the right way to get the 3-D effect without a viewer) or would like to try (it's like magic eye)-- these really are just incredible in stereo.